On Thursday the Clipsal 500 gets underway on the streets of Adelaide which means it is the start of the V8 Supercars Championship series. The first V8 Supercars round of the 2015 season will be followed in a couple of weeks time by the opening of the FIA Formula One season at Albert Park in Melbourne. With a number of new broadcast deals coming into effect this year, a seismic shift in how Australian fans watch their favourite top tier motorsport is about to occur. The V8 Supercars is now on Fox Sports and Network Ten, after spending the better part of the last 10 years on the Seven Network.�Meanwhile, Formula One, which has been one of Ten’s key sports products since the early 2000s will now be shown on Fox Sports and Ten, after Ten sub-licensed broadcast rights to Fox. The outcome being that Ten will now only show 10 out of the 20 races per year LIVE, with Fox showing all races LIVE.�Fox Sports will also continue its coverage of all Moto3, Moto2 and MotoGP races, after Ten and Fox struck a deal last year with MotoGP to share rights. Ten now only broadcasts MotoGP races LIVE, except for the Australian Grand Prix where it retains extensive coverage rights. The key from all these deals is that there is now more coverage available to the viewer, with practice and qualifying across MotoGP, F1 and V8 Supercars LIVE and in HD. While some will say viewers should not have to pay for something that was previously available for free, this is the reality of the current sports broadcast market – hybrid deals between pay and free-to-air television in order to find value and maximise audiences as the cost of sports broadcast rights continue to increase. Fox Sports’ coverage of the Clipsal 500 begins tomorrow at 9am AEDT on Fox Sports 5. Ten’s coverage begins on Friday. A summary of the 2015 broadcast rights for V8 Supercars, Formula One and MotoGP is below. Fox Sports – every practice, qualifying session and race of the Championship series will be LIVE and in HD. Network Ten – LIVE coverage of�the Clipsal 500, Townsville 500, Sandown 500, Supercheap Auto Bathurst 1000, Gold Coast 600 and Sydney 500. 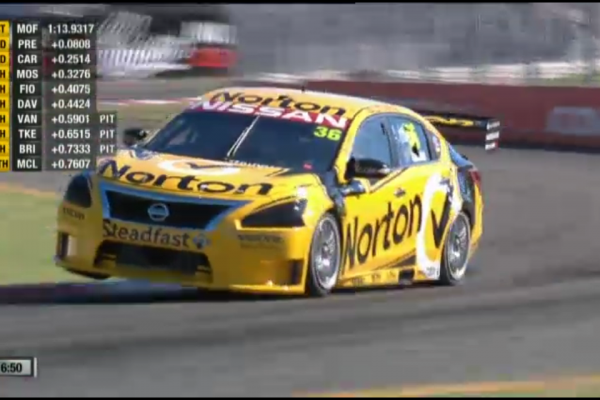 Comprehensive highlights programs of the other V8 Supercars races on ONE and TEN on Saturdays and Sundays. Fox Sports -�every practice, qualifying session and race of the season will be LIVE and in HD. 10 races LIVE per season (simulcast with Fox). Live races in 2015 on Ten (at this stage) are:�Australian Grand Prix, Bahrain Grand Prix, Monaco Grand Prix, Austrian Grand Prix, German Grand Prix, Belgium Grand Prix,�Singapore Grand Prix, Russian Grand Prix, Mexico Grand Prix and Abu Dhabi Grand Prix. 60-minute highlights program for each of the 10 races that Fox shows exclusively live. Highlight programs will run on ONE at 9.30pm on the Monday night following the event. Official broadcaster of the Australian round of the Formula One season for the next five years. The practice sessions, qualifying sessions 1, 2 and 3, and the race will be broadcast live, with minimum guaranteed coverage of 25 hours across three days in each year of the deal. Fox Sports -�every practice, qualifying session and race of the MotoGP season LIVE and in HD. Also, LIVE coverage of Moto2 and Moto3 races. Network Ten�– every MotoGP race LIVE. At the Australian Grand Prix round at Phillip Island, Ten will show MotoGP qualifying and practice and have all Moto class races LIVE. Network Ten Announces V8 Supercars Sponsors. Network Ten Extends Long-Term Formula 1� Agreement.